My first Stampin Up Convention, held in Canberra was an awesome experience! I loved almost all of it (didn't do too well with the make and take session) felt very rushed. We were lacking in clear directions, but never mind we just used the products that we didn't have at home and decided to finish it later. I still came back really inspired and my head full of ideas. It was so nice to get to know some of the other girls in our group, who are all so nice and lots of fun, too. I thought I would show you the swap cards I made for this event. 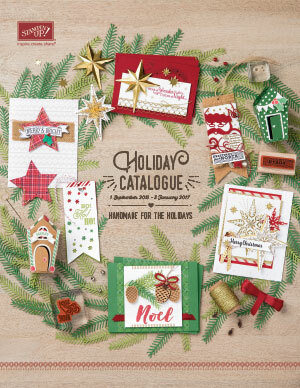 You see there is a tradition of making cards to swap with all the other demonstrators to give you lots of fresh ideas to share with your stampin friends. I made 95 all up, some made less and some made more. One lady had a suit case with 300 swaps! First of all the Audrey Hepburn dress. My friend Betty received a card similar to this one from her niece Julie. Betty loved it so much she sent it to me to see. I fell in love with it straight away and did my own little tweaks and made it with all Stampin Up items. It was a real hit with all the girls and was the first one of my three to be swapped out. So a big thanks to Julie for making it and also most importantly to Betty for sending it to me. The second item was a card inspired by the lovely Field Flowers stamp set, I did two cards, one using Tempting Turquoise as the colour highlight and then I also did one using Melon Mambo. Apart from that, by using simple black and white it was quite effective. The third item was a page marker. 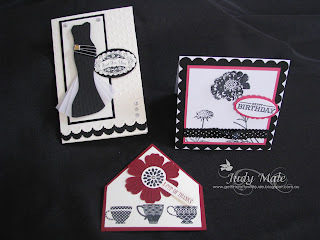 We receive a newsletter from Stampin Up each month called Impressions and they showed how to make this item. My design and colour choice is different to theirs, that's the beauty of seeing something you like, you can recreate it the same, or you can put your own creative flair to work.